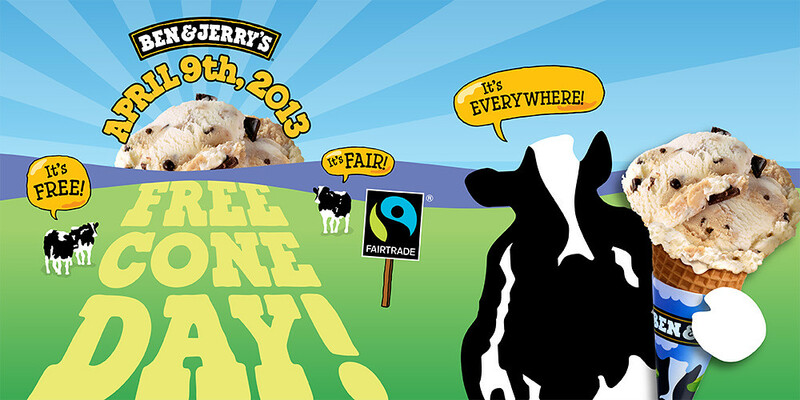 Cheap Thrills - Boston: TUES 4/9: Free Ice Cream Today! There is more cheapness through Thursday on the Calendar -- mainly film and music. Oh, it's a good thing that Ben & Jerry's is owned by a giant conglomerate. Those 2 guys from Vermont don't have to worry about buying everyone a free ice cream on a warm Spring day. Heck, the lines have been long in previous years when the weather has been crappy. Even one scoop of Cherry Garcia still makes me happy, and I might even try Liz Lemon Greek Frozen Yogurt, one of the new flavors this year. If you don't feel like having a free cone (or cup) today, I think they'll still send you a coupon for signing up on their mailing list. Wait until you're, because I had 2 weeks to redeem it. You also have some time (4/19) to enter the Ben & Jerry's #PintProject Contest via Twitter by doing something creative with an empty Ben & Jerry's pint then tweeting them a picture or video link with #PintProject.